RS has helped a leading confectionery manufacturer achieve significant cost savings in the indirect procurement process through its Purchasing Manager™ system. Procurement teams and engineers face a number of challenges when it comes to the maintenance, repair and operation of their organisation’s assets and facilities. The supply chain for indirect materials is complex due to the number of stakeholders involved, a fragmented supply base and the sheer number of products split across multiple categories. In addition, there is constant pressure from senior management to reduce costs. As one of the largest suppliers of industrial supplies, RS is in a unique position to understand the complex needs of its customers and to help these businesses improve their processes and make efficiencies. The crucial statistic for organisations to understand is that with indirect procurement, process costs can be twice as much as the amount spent on the products themselves. So if your organisation spends $170,000 on purchasing products over the course of a year, you will spend a further $340,000 on processing or ‘soft costs’. As such, there is significant value in reducing process costs, rather than focusing purely on the purchase price of individual items. An example of how RS has been able to help a customer take better control of its process costs is our work with a well-known confectionery manufacturer, a market leader within its category with a turnover in excess of $170 million. RS has worked with this company for a number of years, supplying a wide variety of products. This includes electrical and automation products, PPE equipment, tools and test equipment, which are used by maintenance engineers to help keep operations running. 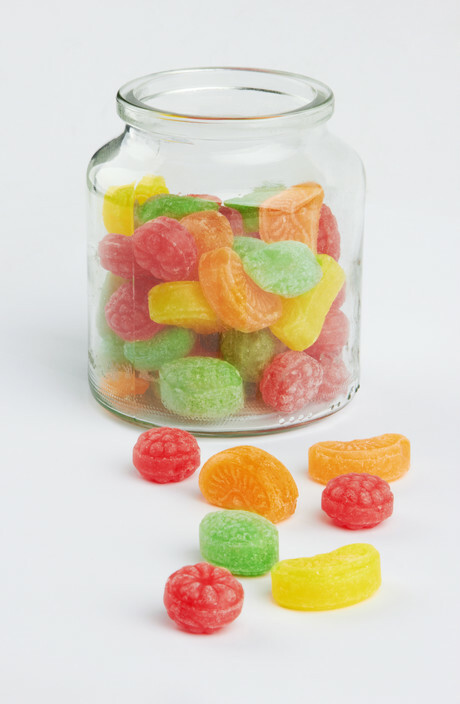 As a large organisation, the confectionery manufacturer had a long-term plan to streamline their purchasing process, which included reviewing all indirect spend. The procurement department was challenged to reduce admin and bureaucracy around the purchasing process so that it would be quicker and require less input from multiple stakeholders across the business. Typically, the customer was spending significant time locating suppliers who had the products they needed and then comparing quotes; raising POs with a finance team; and arranging for delivery to be achieved in a time that didn’t impact the day-to-day business. They also felt there was a great deal of duplication and manual entry of information during purchasing. In short, the process was delaying procurement of low-value products, while taking valuable time away from employees’ core responsibilities. The first step was to process map the company’s current procure-to-pay process. This was led by RS’s dedicated team of e-commerce specialists and the customer’s key stakeholders then, using a process cost calculator (produced in collaboration with Chartered Institute of Procurement & Supply), it was possible to calculate the time taken for each process step in order to produce the total cost to the company for every order they place. By doing this, it was identified that each PO raised took 88 minutes from end to end, costing $126 per order. For RS alone, they were placing over 200 orders annually, with a similar number of orders being placed with multiple suppliers. RS found that the simplest way to remove many of the issues (and additional cost) in the process was to introduce PurchasingManager to the customer. PurchasingManager is a web-based, order management system used alongside the RS website. Buyers can create account structures across their organisation, assign spend controls, cost centres and approval limits to help manage all RS Online purchasing. The system allows the end user, usually an engineer, to go onto the RS website, choose the product they need, order it and see when the delivery will be made. Behind the scenes a confirmation request is sent to a senior colleague who can quickly approve the cost and the order is processed. PurchasingManager addressed the authorisation process and became the only authorisation required to approve an order from RS. Once an order is approved, it is sent directly to RS without procurement being involved. The confectionery customer was able to use a single monthly blanket order rather than individual POs, meaning that the only PO processing now takes place at the end of the month. An engineer would choose a basket of goods, raise a paper requisition and send it to their superior for authorisation. Once this authorisation was granted the requisition was sent to procurement. Procurement would then check the price online before raising a purchase order. The purchase order would need to be signed off by the head of procurement before the PO was emailed to RS for fulfilment. Once the goods were delivered, a three-way match was needed between the email request, the PO on their system and the individual invoices. The customer now has a simplified workflow with empowered end users, which has significantly reduced processing costs, enabling all functions involved in the indirect purchasing process to focus on value-added activities in their respective roles. The customer has moved from an average cost per order of $126 before PurchasingManager was introduced, to $78 now. The number of orders also increased to 1089 annually as they consolidated more orders with RS, reducing their supplier base. Based on the new cost per order, this equated to a $51,836 saving annually compared to their old process. The entire purchasing process has been greatly speeded up, more employees are ordering from trusted suppliers (rather than using local or online purchases), which improves contract compliance, and parts are being successfully delivered when engineers want them, which means there is far less downtime. The result is that the customer has gone from an inefficient, costly process with too much duplication of tasks and a lack of clarity to becoming highly efficient with real transparency throughout the purchase-to-pay process.